You can do better in Maths, Natural Science, English and Afrikaans! GetAhead is guaranteed to help your child understand schoolwork and improve results in English, Afrikaans, Maths, Natural Science and Life Skills*. 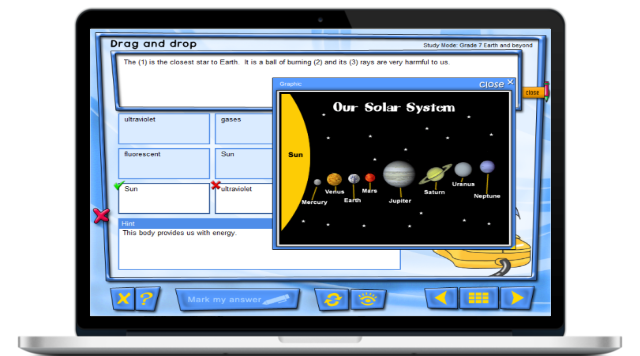 It’s a unique South African educational software product that is based entirely on the South African CAPS curriculum. This means that GetAhead is 100% relevant if your child attends a South African state or private school. It provides your child with fun, interactive curriculum activities that give immediate and contextual feedback in the form of hints, explanations and enrichment – all designed to help your child achieve better results. 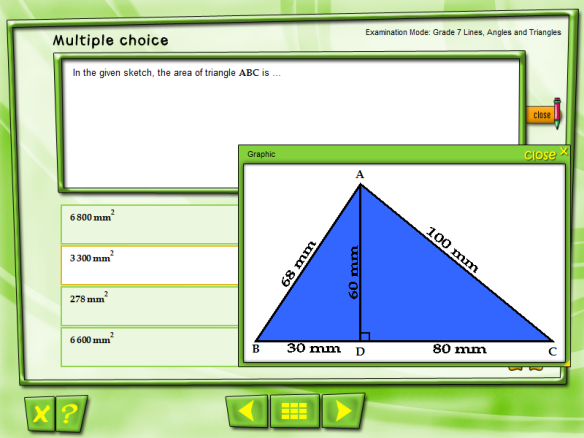 Hundreds of questions covering Mathematics, English, Afrikaans, Natural Science and Life Skills. 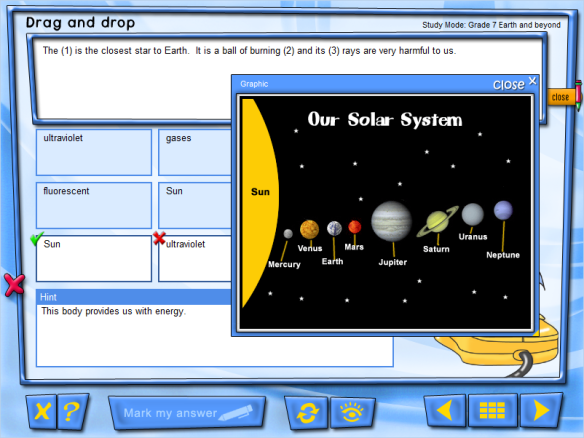 Beautifully illustrated, interactive activities that provide valuable feedback as your child progresses. 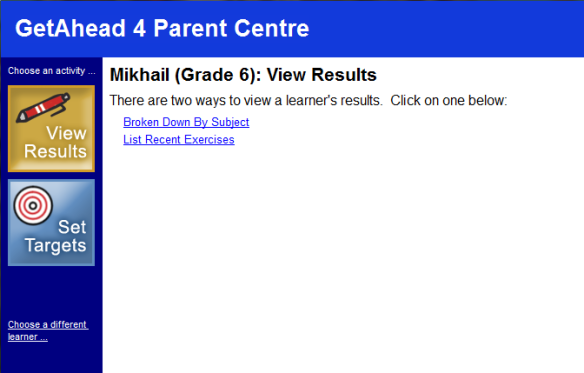 Parent Centre tools that let you set targets and track your child’s progress. 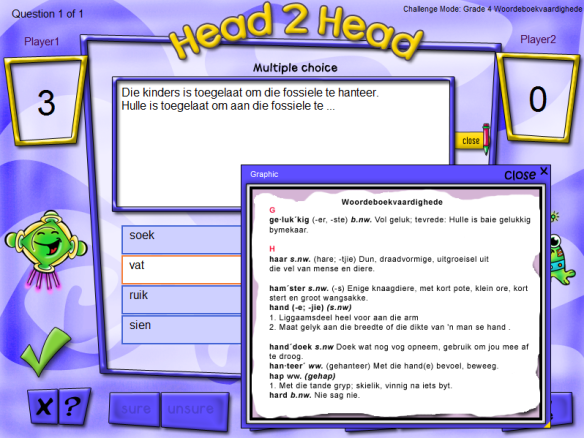 Fully bilingual in English and Afrikaans. Based on the 2015 CAPS curriculum.